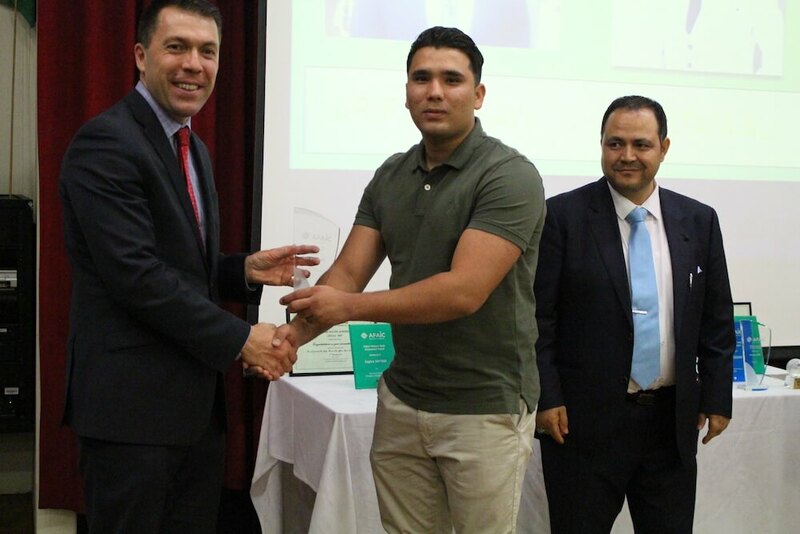 Afghan Refugees Youth Achievement Awards known as ‘ARYA Awards’ were presented on Friday 8 December 2017 at Campbelltown Civic Centre hosted by Afghan Fajar Association, ‘AFAIC’. 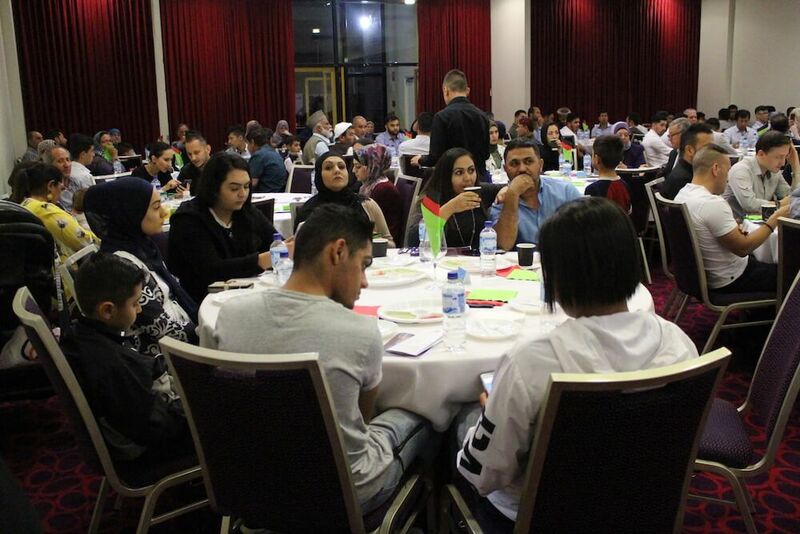 With over 200 guests from a multicultural background, the ARYA Awards showcased a cultural night, celebrating the success and achievements of many young Afghan refugees who are contributing positively to their communities. There were six main awards categories with three finalists in each category, being recognised as High Achievement Award, Outstanding Achievement Award and Excellent Achievement Award. 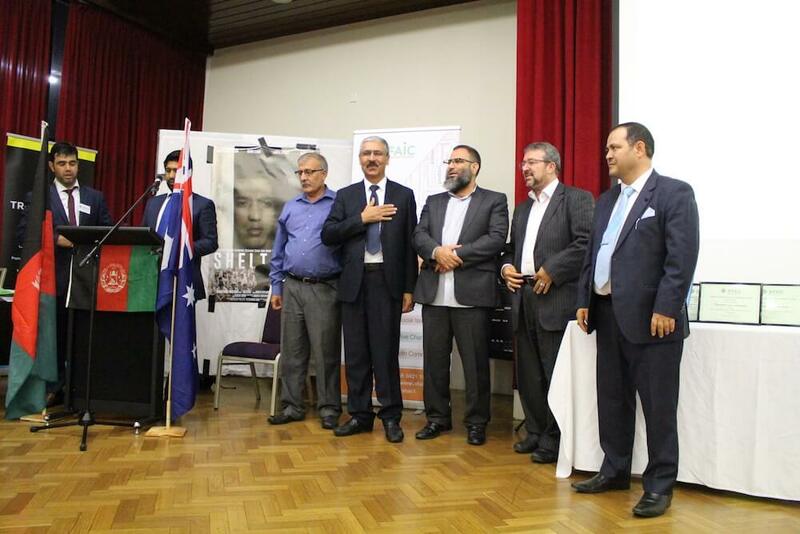 AFAIC had established a judging panel from major Afghan organisations in NSW including, the Afghan Community Support Association in Blacktown, the Nabi Akram Islamic Centre – Noor Association in Granville, The Australian Afghan Hasanian Youth Association Incorporated in Regent Park, Australian Ofoq Afghan Weekly in Merrylands and the Almahdi Youth Association in Campbelltown. 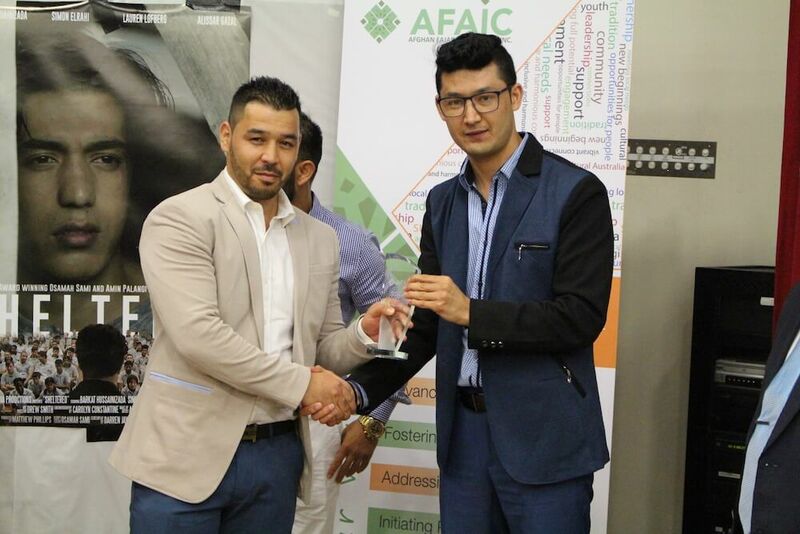 In a unified approach, AFAIC managed to bring many of the Afghan organisations to participate in the judging of the three finalists for each category of Awards. 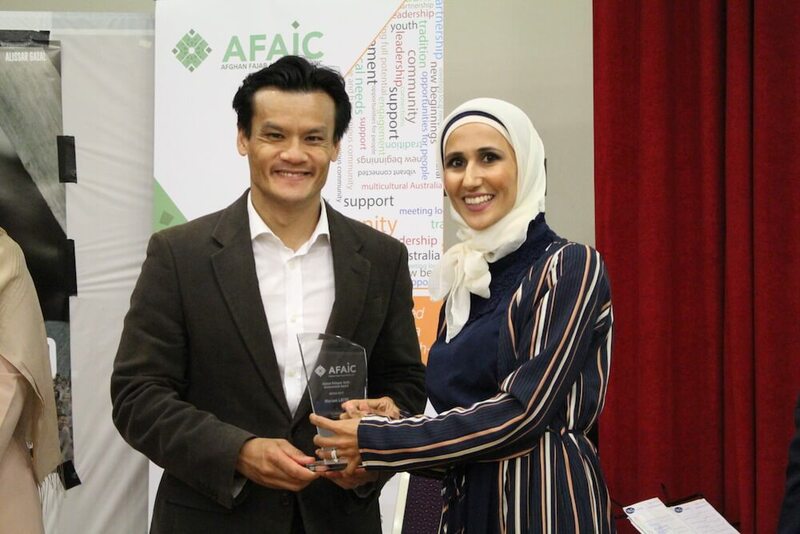 Excellence in Education – Arif Mousawi. 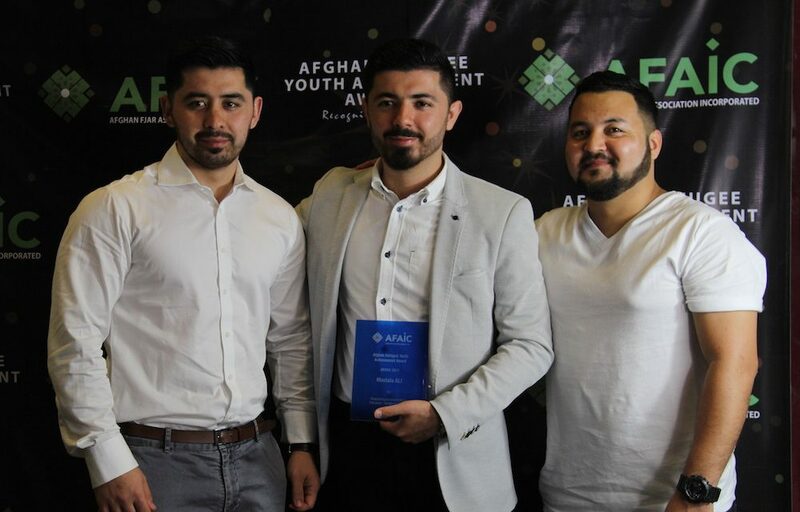 Education and Vocational Training Award: The nominees would have had to represent high, outstanding and excellent achievement in their educational and vocational training endeavours with successful representations of Afghans in the mainstream. Sports Award: The nominee will have been engaged a recognised are of sport activity for 6 months or longer. They will have developed their skill level and demonstrated commitment to excellence in their sports activity. Business Enterprise Award: The nominees would have set up an enterprise which is operating successfully. The nominees would have developed links with other business networks to assist participation of other entrepreneurs. They would have developed and grown their small business activity and have provided employment opportunities to others. Community Service – Volunteering Award: The nominee with have acted as an advocate to individuals who would otherwise not have a voice and/or provided essential support to those who have barriers to accessing services they need and provided direct and/or indirect support and service to Refugee and New Arrivals seeking material and personal assistance. 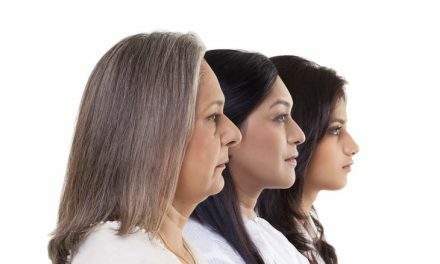 Citizenship Award: The nominee will have been engaged with their community through self-development, volunteering, engaging with others, promoting social inclusion and assisting in making a cohesive community. Excellence in Citizenship – Maryam Latifi. 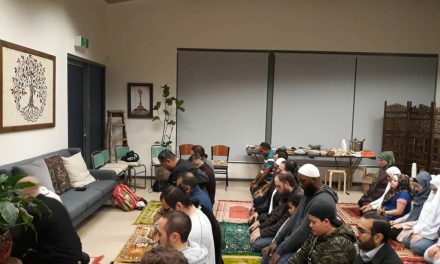 The event started with the recitation of the holy Quran, followed by acknowledgement of the country and Australian and Afghan national anthems. The Mayor of Campbelltown City Council, Councillor George Brticevic welcomed the guests to Campbelltown. 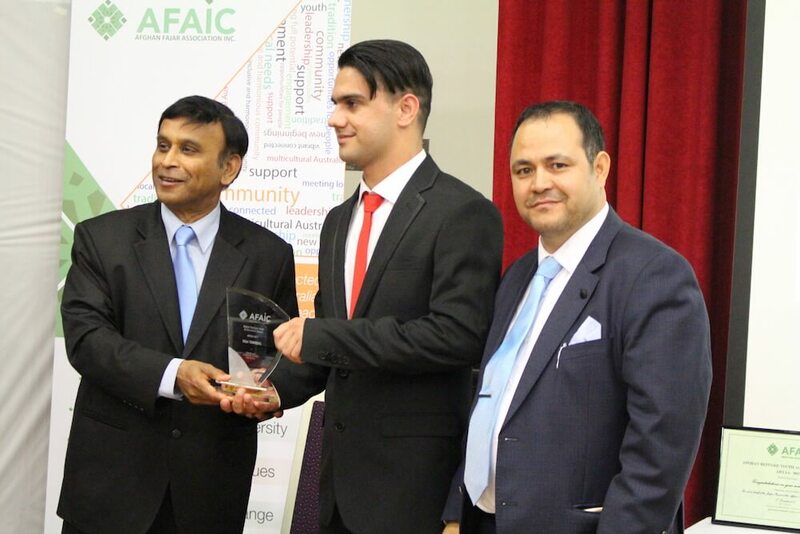 The Mayor congratulated AFAIC on yet another successful event and emphasised on the need for support from the local community. 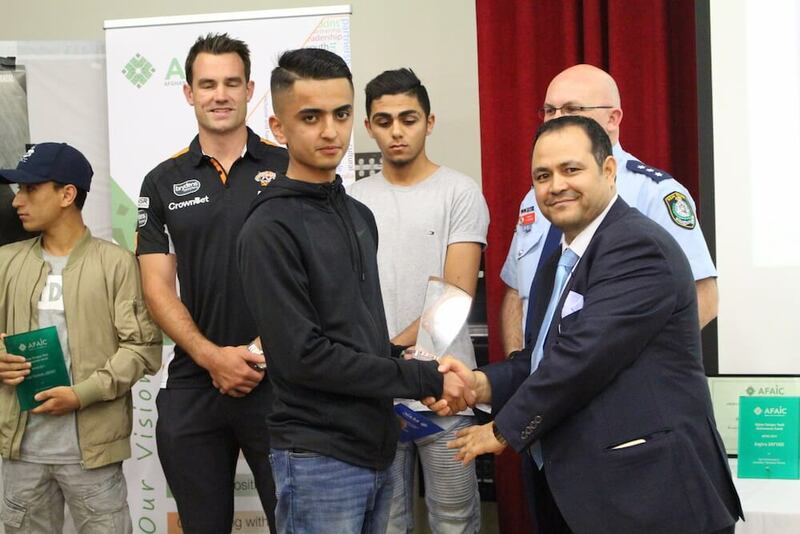 “We are witnessing a great organisation doing amazing projects in the Campbelltown LGA and we announce our support in whatever they need to make this community better”, said the Campbelltown Mayor. 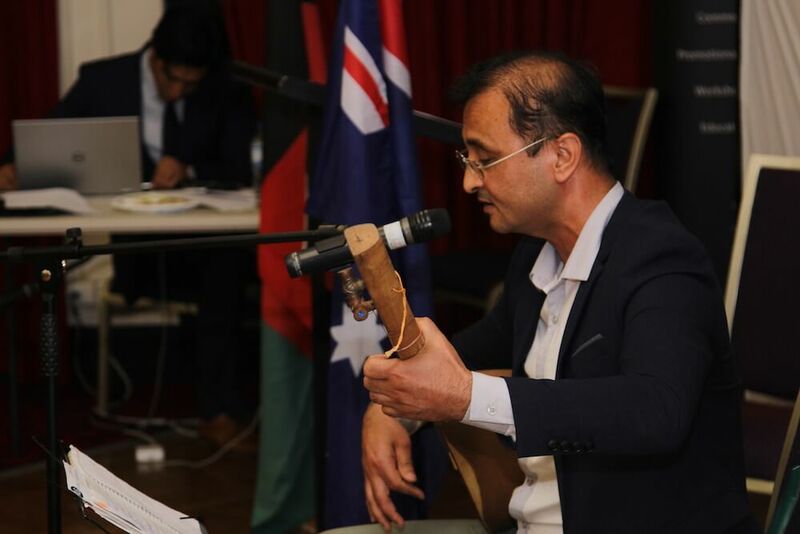 The Afghan Ambassador to Australia, Mr Wahidullah Waissi, joined the guests over a telephone conference and congratulated AFAIC on being a bridge between Afghan communities and the mainstream Australian society. Excellence in Business Enterprise – Murtaza Ahmadi. “I congratulate the organisation and most importantly the youth, for their hard work, persistence and success. 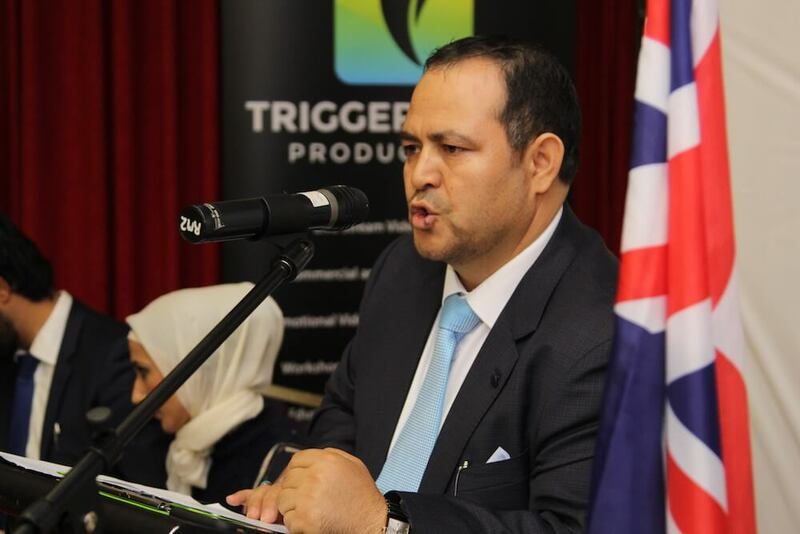 You’re the pride of Afghanistan and Australia,” said the Ambassador. Some of the other dignitaries in attendance included members of the NSW police force, NSW Member of Parliament for Macquarie Fields, Hon. Anoulack Chanthivong, Campbelltown City Councillors, CEO of Macarthur Workplace and Learning Program, STARTTS, representatives from Telstra, Wests Tigers and the acting crew of the refugee short film, ‘Sheltered’. They were accompanied by over 140 other Afghan community youth, elders. At ARYA Awards, AFAIC launched the premiere of the refugee short film titled Sheltered, which AFAIC is the executive producer for. This engaging artistic expression of a story of refugee youth being bullied at high school, resonated with many Afghan youth present at ARYA Awards. Excellence in Sports – Syed Gawed Mousawi. “It is a tale of every migrant and refugee and it was so well portrayed by Barkat Hussainizada. It brought tears to my eyes’. said one of the Mr Haidary who was an attendee at the ARYA Awards. The recognition of talented young people was immensely welcomed by elders in the community and they announced their support for ARYA Awards. ‘We are pleased to see such a display of talent and we want to know how we can assist in making it better next year’, said Mr Karimi, whose son, Sajjad Karimi, won the Appreciation Award for Sports. 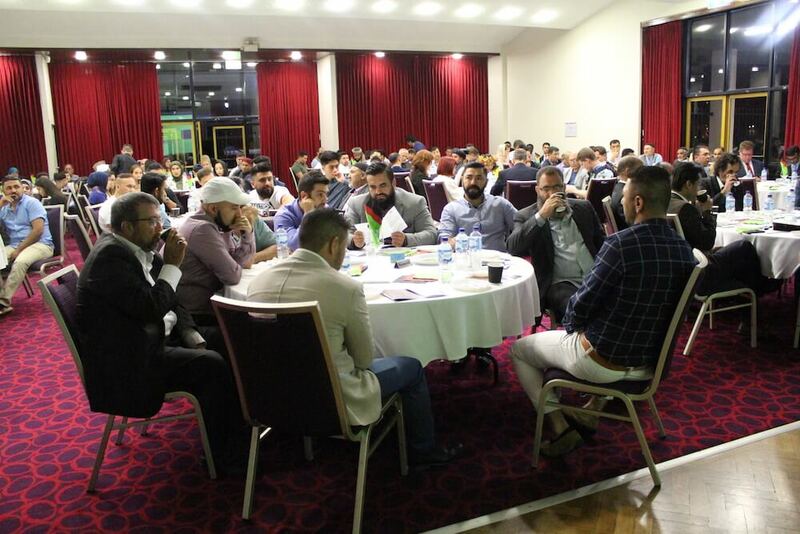 ARYA Awards was a fusion of multicultural representation – from the traditional start to program to the Afghan-style dinner, it certainly was a night to remember! Excellence in Community Service – Volunteering – Bilal Tawakkul. Sayed Rahmatullah Hussainizada is a solicitor, journalist and an entrepreneur. He is heavily involved in the grassroots community organisations and is passionate about social change. Sayed is the public and policy officer for Afghan Fajar Association Incorporated and the Founder of CultureShare. 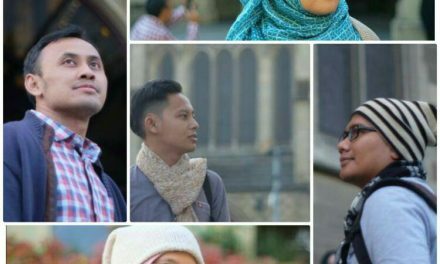 He is recognised for his human rights efforts by UTS as the recipient of the 2016 UTS Elizabeth Hastings Memorial Award for Student Community Contribution and is a finalist in the 2016 Australian Muslim Achievement Awards - Youth of the Year. 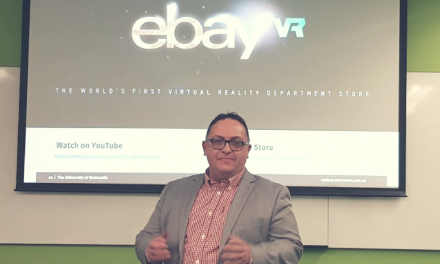 Sayed is a regular MC and public speaker on social justice issues, community and professional events.